Spring is that magnificent moment when art, beauty,creativity, nature, flowers, colors come together in perfect harmony. Flowers are favourite theme used by independent designers and eminent jewellery houses to make original, fascinating creations, highlighting their beauty by means of noble metals and precious gems, observing proportions, forms and volumes. 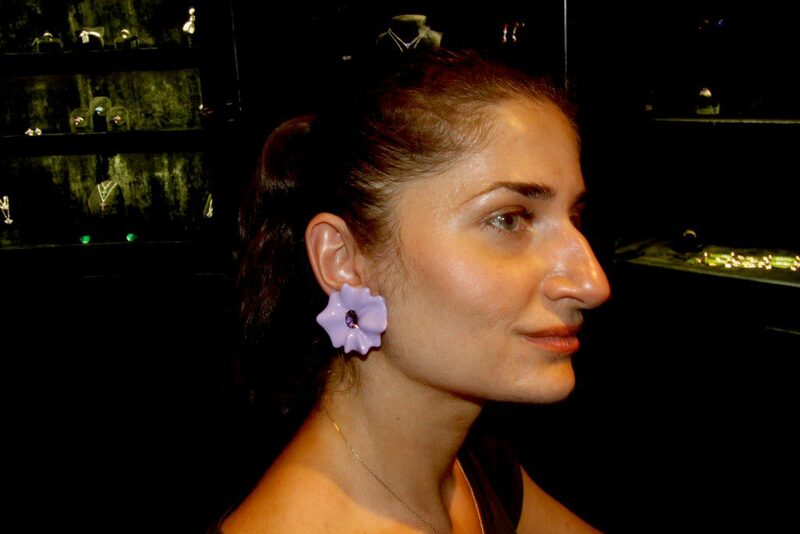 Let’s see some original floral appearance on the Olymp of high jewellery world. The prestigious Maison Chaumet created Hortensia collection, bewitching floral eden, that celebrates the rare hydrangea flower, demonstrating its subtle elegance and delicate essence,offering exquisite composition of materials: opals, tourmalines, sapphires, diamonds, the enchanting garden of blooming beauty. 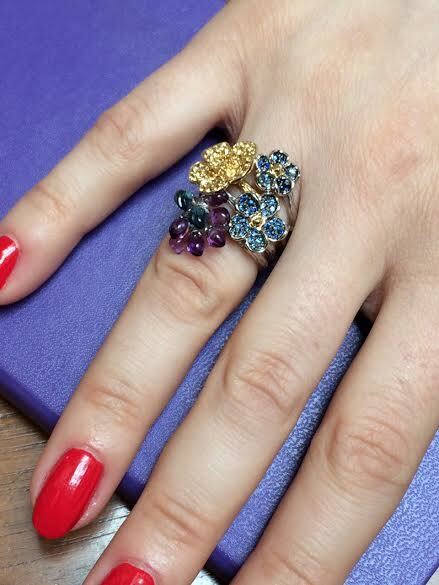 Morphee Joaillerie offers to its sophisticated clientele the Forget-me-not collection, distiguishing with its vibrant bold colors. There is a story behind the collection beautifully interpreted by charming Pamela Hastry, creative mind of the brand. Forget-me-not” is a delicate blue flower that women wore in the 15th century. It was supposed that they would not be forgotten by their lovers. So it is a flower that is very iconic. And its symbolism inspired the talented designer somehow to create the moment: when a man holds the hand of a woman when walking, the hand is tight enough, and gradually the man’s hand is slipping away by taking just one finger, then the hands separate. She wanted to recreate that unique movement, leaving behind a trail of “forget-me-not” flowers. 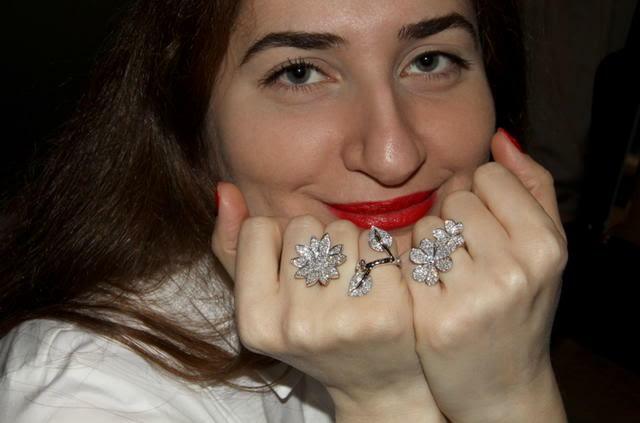 So at the beginning it was a statement articulated ring, that wrap itself around the hand, then Pamela made earrings worn as a cluster of flowers on the ear, and continued the concept of stackable rings that can be combined with stackables from other collections to create their own eternal flower bouquet of rings. 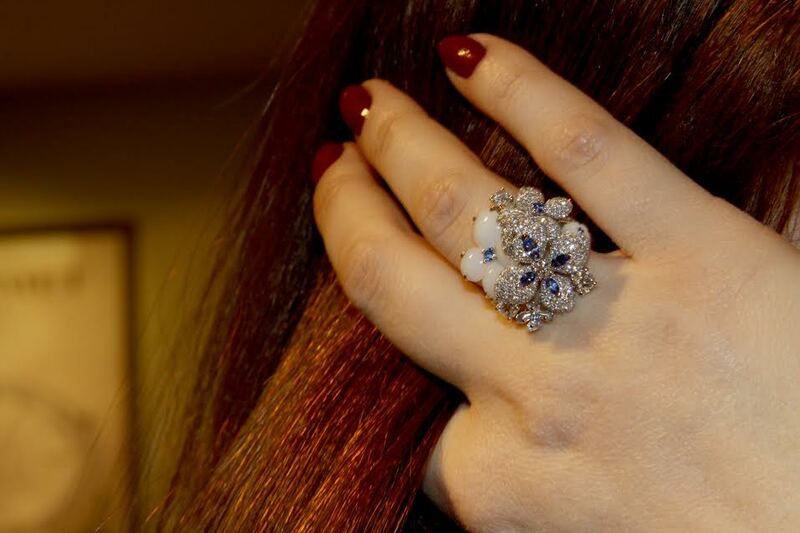 Morphee jewels embody women’s elegance, radiance and grace. Van Cleef&Arpels’ poetic and naturalistic world is truly emotionally engaging and life-enhancing. 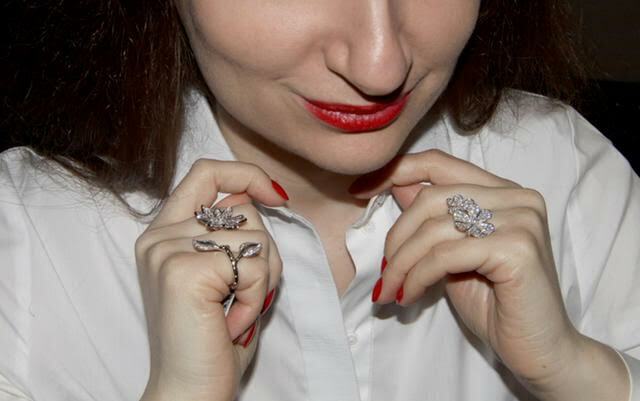 The Lotus between the finger ring, the iconic piece by VCA is a symbol of purity, beauty and fulfillement. 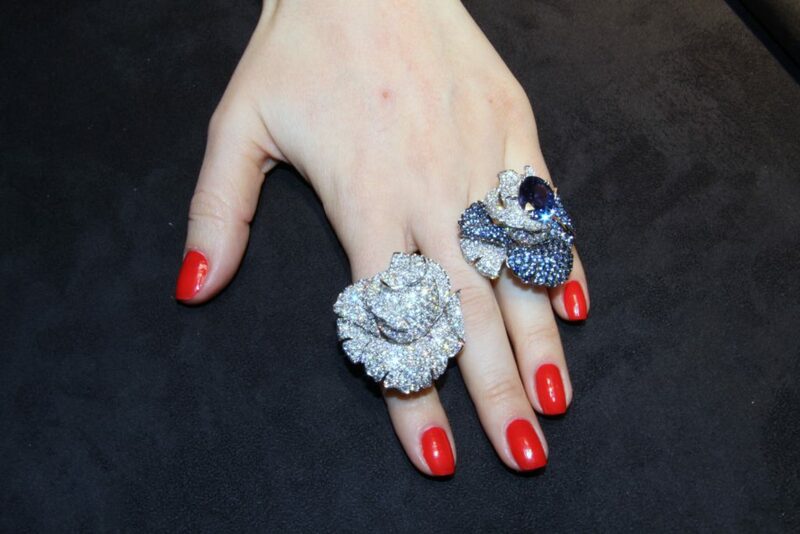 Gently embracing the fingers, the ring is entirely covered with sparkling diamonds, underlines the wearer’s femininity. The Frivole ring consists of delicate petals of geometric flower, fully embellished with diamonds, comfortable to put on every day or on special ocassions, will be a dainty complement to your evening outfit. 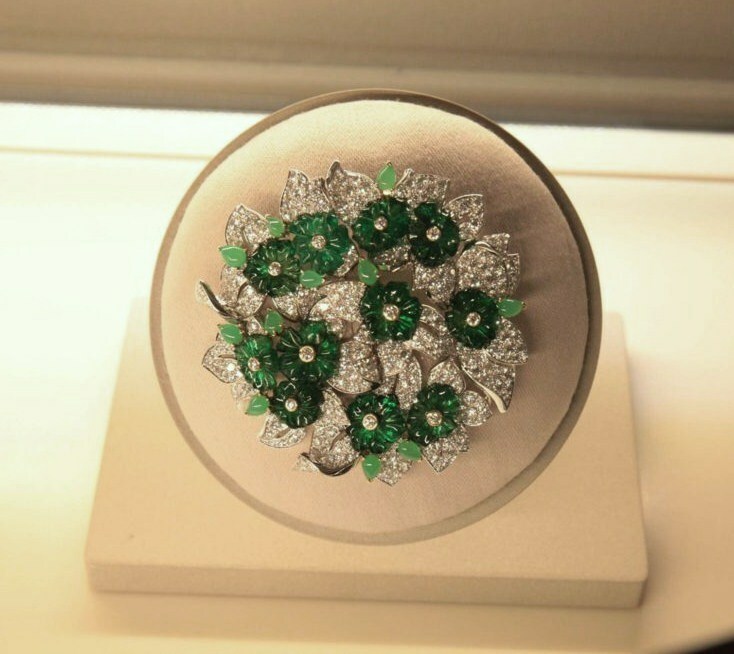 The Bouquet d’emeraude clip from the Emeraude en Majeste high jewellery collection illustrates Van Cleef&Arpels‘ fondness for nature, an endless source of inspiration. 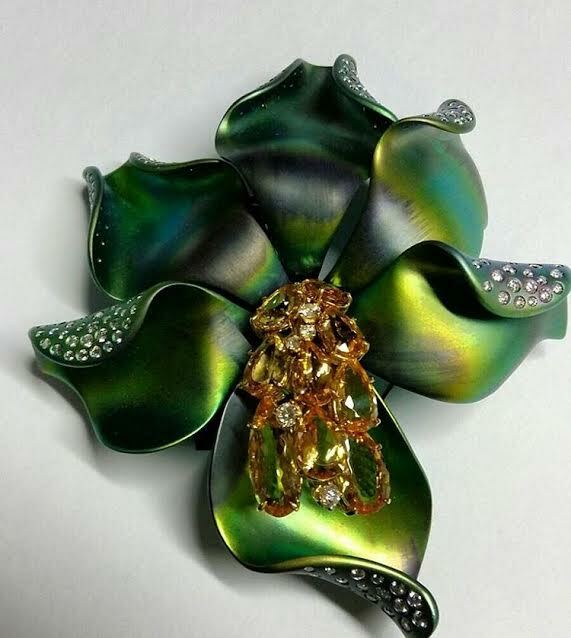 Delicately carved 11 emeralds chaotically alternated with chrysoprase cabochons, tenderlessly surrounded with diamond foliage compose this spring-like brooch, creating a subtle movement, making the diamonds sparkle. Picchiotti’s Rose rings are emblematic jewels which demonstrate timeless charm and everlasting elegance of roses, queens of flowers. 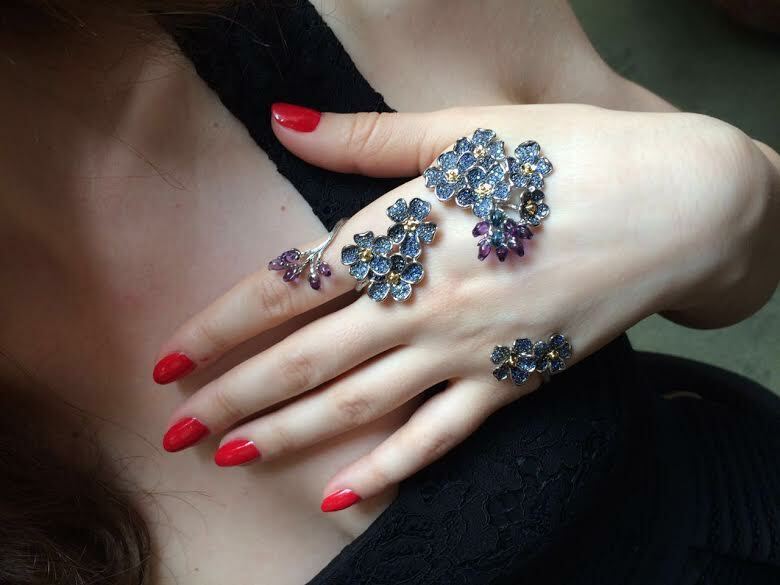 Picchiotti highlights their sentimentality, by ornating them with dazzling diamonds, deep blue sapphires, mysterious amethysts. 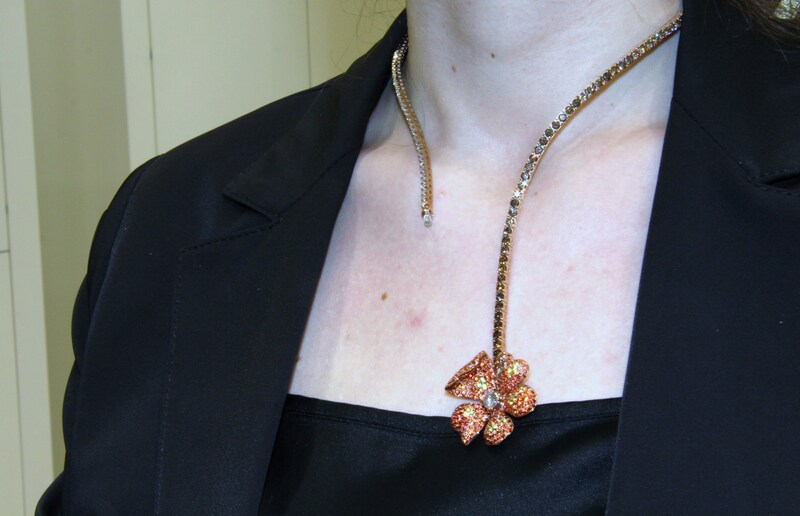 The Flower brooch by Margherita Burgener is flashy and luxurious, perfectly in tune with the latest jewellery trends. Made of titanium, set with pear-shaped yellow sapphires and diamonds, it has an image that is sophisticated and opulent. 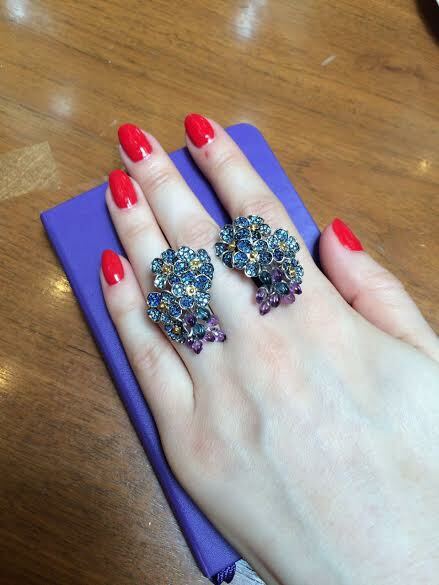 This contemporary jewellery item surely enchants without tricks or deceit. 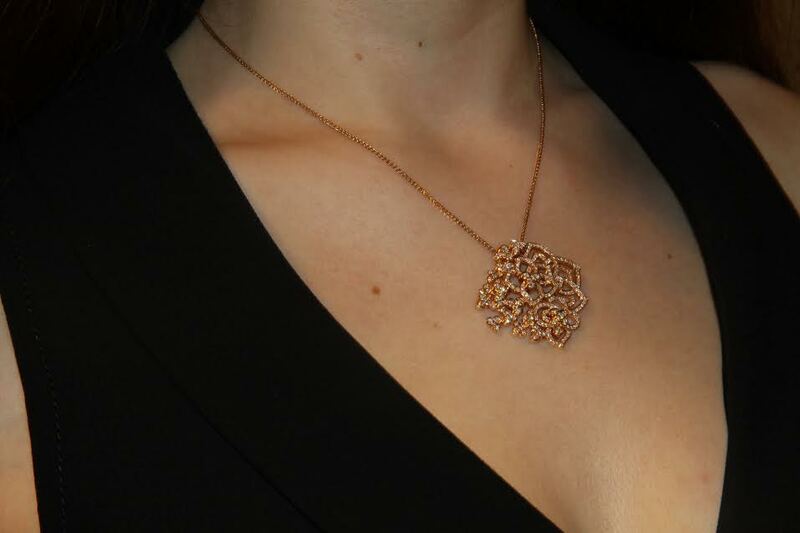 Sabbadini jewels capture all of the iconic allure and strong personality that characterize them. They have aesthetic and hypnotic power; the power of materials. It is all about Flower earrings made of colored resine with precious and semiprecious gems.These lovely earrings pay tribute to the springtime; one-of-a-kind work of art, that come about thanks to the savoir-faire that propels jewelry into the realm of haute joaillerie. Milan-based Di Gregorio Gioielli exhibits Tennis Flower necklace, an edgy asymmetrical jewel, according to the latest spring trend, totally paved with coloured sapphires, diamonds. It is undoubtedly dedicated to women who prefer traditional motifs with contemporary spirit and modern touch. Flowers are an endless source of inspiration for creators from all over the world, thanks to theirrich colour palette, quirky forms and timeless beauty, and without doubt they will always remain one of the main nature’s wonder that will accompany the high jewellery world.